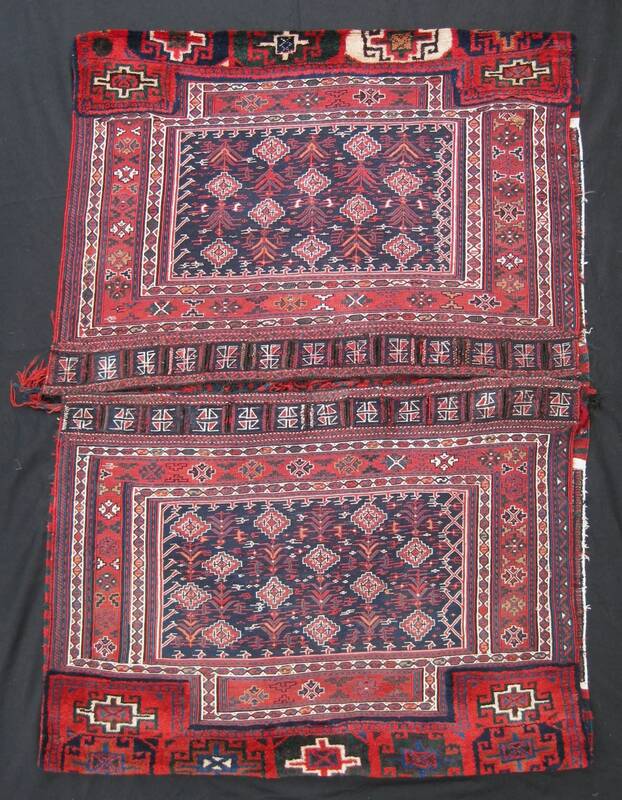 Iran, late 19th century. 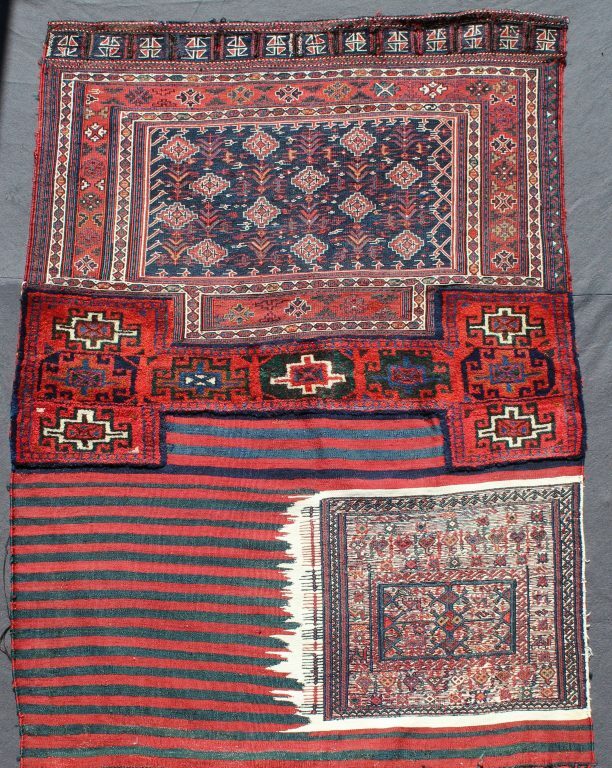 This is a large bag in mixed technique: pile, kilim and soumak, the so-called “wrapping weft technique”. Khorjins of such a large size were used to transport loose items, in this case possibly items of clothing or bedding, on the back of pack animals, mostly, but not exclusively, during migration. The piled section, being more durable than flat weaves, was placed at the bottom of the bag for a very practical reason – it protected the bottom and the corners of the bag from abrasion. 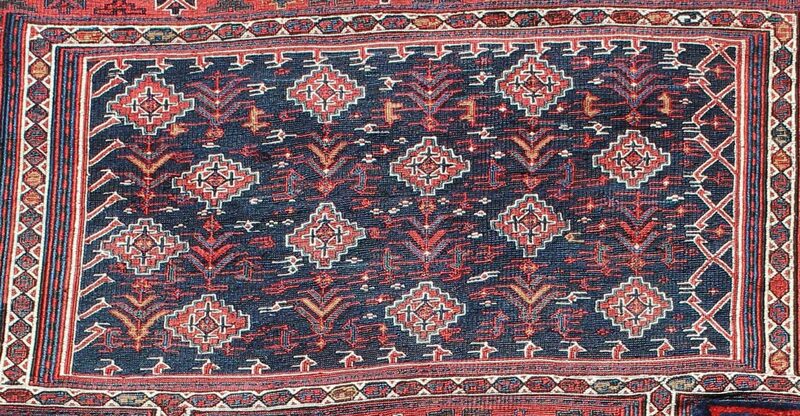 The design on the soumak front is a repeat pattern of shrubs and diamond-like shapes, probably derived from flower heads. It is almost identical to that illustrated in Opie, James, Tribal Rugs of Southern Persia. 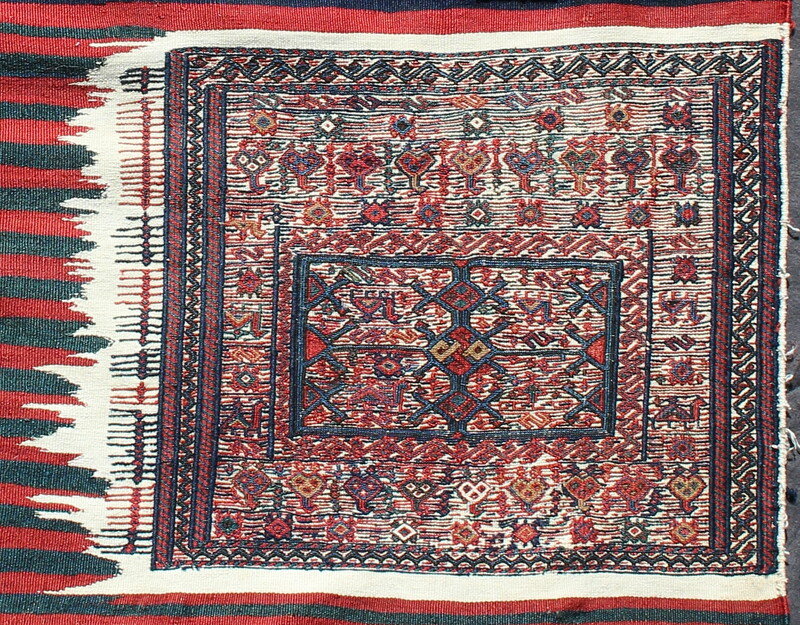 Oregon, James Opie Oriental Rugs,1981, p. 149. According to Opie his piece is part of a mafrash. However, when you see the whole bag, as in our example, it is clear that ours is a khorjin. Very good condition with a few small repairs.